J.K. Rowling is the author of the bestselling Harry Potter series of seven books, which have sold more than 450 million copies worldwide - and this is her new offering. When Barry Fairbrother dies unexpectedly in his early forties, the little town of Pagford is left in shock. Pagford is not what it first seems. And the empty seat left by Barry on the town’s council soon becomes the catalyst for the biggest war the town has yet seen. Blackly comic, thought-provoking and constantly surprising. From the author of Harry Potter. 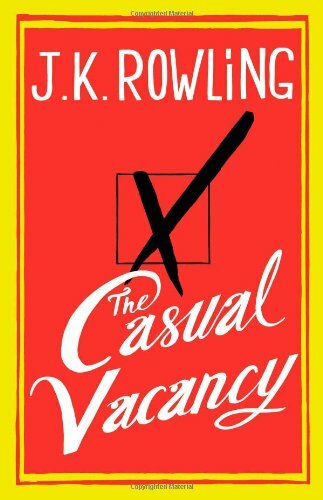 The Casual Vacancy is J.K. Rowling’s first novel for adults. Blackly comic, thought-provoking and constantly surprising.